Hate The New Facebook Layout and Need A Simple Look? Facebook recently rolled out a new design to users, some of them liked it, some did not. In fact even I am one of the people who did not like the new Facebook layout. However, like always there is no official way to go back to cleanup the new design and get a cleaner look for Facebook. Most of the solutions are accomplished using Greasemonkey scripts. Firefox and Google Chrome support the user scripts out of the box, you can learn how to use Greasemonkey scripts in Opera, IE and Safari. 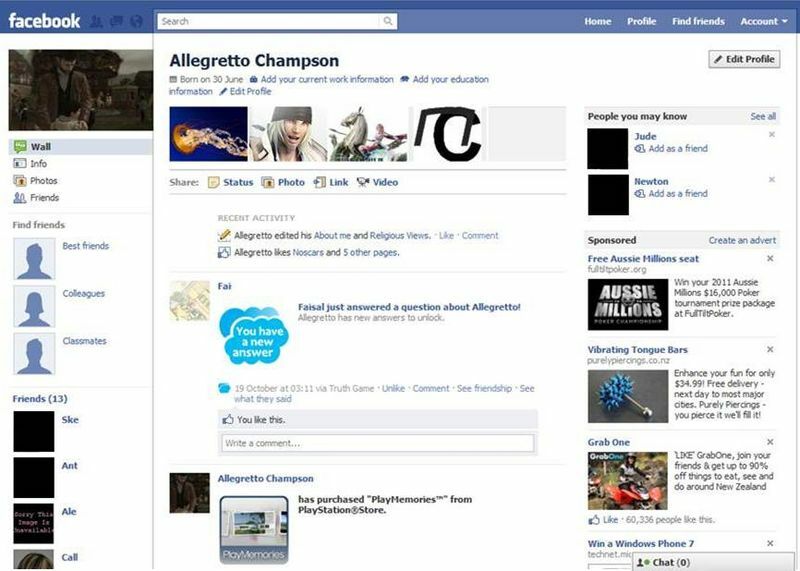 Undo Facebook – Another userscript which is similar to the earlier one, Undo Facebook will clean up your Facebook profile page and display a much more simpler and cleaner version of the layout. Download script here. Facebook Old Navbar – This userscript rearranges the top Nav bar to bring some semblance to the old design. It can be used in conjunction with any of the userscript’s above. Download script here. Replace Profile with Name – Removes the Profile link and replaces it with your name as it was in the older Facebook layout. Download script here. the photos above not relates to my own profile. Most of the sources i took from many websites and it works on my google chrome. It makes me not feeling piss with the new layout anymore. try it and you might wanna share the experience under the comment section below. Please be a fan of my facebook on the column on top of this blog. if you any other useful userscript that will help get back the older layout on Facebook? Do feel free to share them also in the comments. Note: The above changes will only reflect in your current browser, it will not be available on different browsers or on multiple computer.